I admit it, I love The Emperor’s New Groove. I think it’s the supporting cast that kill me. Yzma, Cronk, and Bucky. All of Kuzko’s arch enemies. And I think I may actually be Pacha’s wife. If I get cross I need to clean the house. We often have a very clean house. 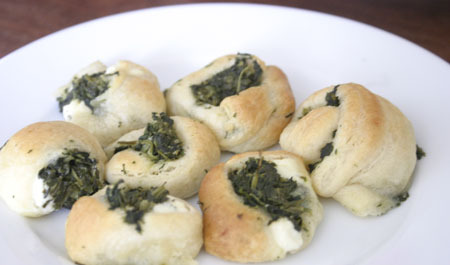 Anyway, for this movie night I found the perfect, easy recipe for Spinach Puffs for kids, ideal for teaching them basics of how to cook. I coached my daughter for a long time on proper cooking rules. 1. Wash your hands! A lot! All the time. Put your hair in a pony tail. Wear an apron. Use clean utensils and clean and put things away as you finish with them. 2. Use care around the oven! It’s hot! Make sure everything is off when finished. Don’t leave things on the stove. 3. Be careful when using knives. They are sharp! Always cut away from yourself, watch your fingers. And then…I set her loose! And you know what, she did a super job. I was there in the background in case she had questions or ran into trouble but she was great and she was soooo proud of herself afterwards! Here is a link to the recipe at allrecipes.com, and I’ve posted it below. On to the craft. While I was in university I took some animation classes. I’ve always dreamed of working for Disney because I love it so much. So for this activity I took some of the kids favourite sayings from the movie and showed them the basics of animation and how any of their favourite characters can be found using basic shapes like circles. 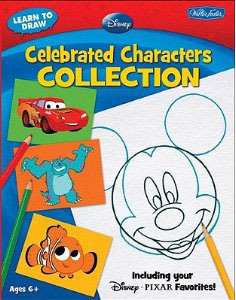 There are some great learn to draw books out there, one good line you can use is Walter Foster’s Learn to Draw Disney Series. They really enjoyed the lesson so I think we’ll have another class for another movie night sometime. After they did the basics with finding the circles that make up the basic structure using a pale blue pencil crayon, I let them trace the character (Bucky). I know that with children, the biggest hurdle with drawing can be that they can become frustrated and give up when they are dis-satisfied with how similar their drawing looks to what they are drawing. The quotes below the characters are “This is the last time we get directions from a squirrel!” and “Squeaker Squeak Squeak Squeakin’. 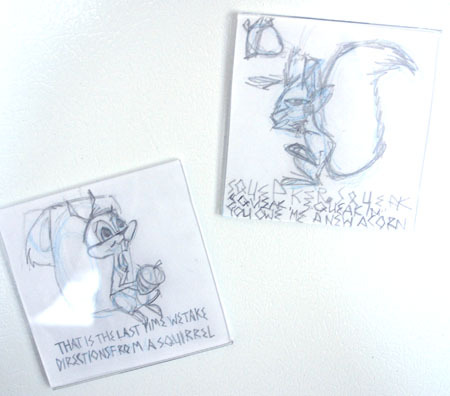 You owe me a new acorn.” Then I put them in small fridge magnet frames. For this activity all you will need are paper, blue and regular pencils and a photo fridge magnet for display afterwards. 2. Split crescent dough in half along center perforation. Flatten one rectangle, sealing perforations. Spread with 1/4 of the cheese and sprinkle with spinach. Starting with long side, roll dough up, rolling back and forth several times to seal edges. Cut into 3/4 inch slices (about 15 slices per roll). Arrange the slices one inch apart on ungreased cookie sheet. Continue making the crescent roll ups until all of the ingredients are used. 3. Bake for 10 to 12 minutes, until lightly browned. Serve immediately or keep warm on a warming tray.